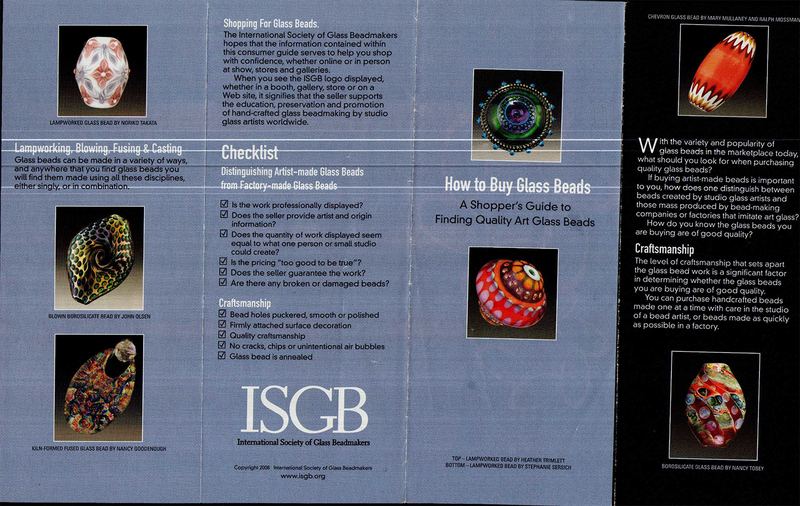 I have been a member of ISGB (International Society of Glass Beads) for about 15 years and GAS (Glass Art Society) equally as long. So I was a little taken back when I received a pamphlet at the GAS conference here in San Jose, CA (where I spent 3 days volunteering) called “How to Buy Glass Beads – A Shopper’s Guide to Finding Quality Art Glass Beads” which is a real “looking down the nose” at those of us who produce more than 5 beads a week. The prices of the factory-made beads are often “too good to be true”. We work very hard to keep prices down and deal with not only fluctuations in the Euro but also in precious metals pricing. Another sign of factory-made beads is quantity – the fact that our bead makers show up every day and make beads is a penalty? Quality and Techniques used for centuries in Murano are not “real” EXCUSE ME? Where do you think ISGB beadmakers learned? Ask the seller to tell you the name of who made bead: Yes, really I am going to reveal my beadmakers whom I have cultivated, spend millions – YES, and 20 years of my life to develop. PLEASE, the Venetians and Muranese have been doing this since the 800s and before. Recent discoveries in Altino digs have uncovered murrine (millefiori) from the 1st Century AD. Altino was destroyed in 452 AD by Attila forcing its people into the islands we now know as Venice. American “artists” came along only few years ago. The fact that our wonderful bead makers support themselves, raise families, send their children to college, buy homes (and YES they can make quantity) only adds to their status as artists. Most of the beads these so called “ISGB artist” make have origins in Venetian Beads. Quantity is really just a matter of how hard you work – NOT a definition of “Art”. 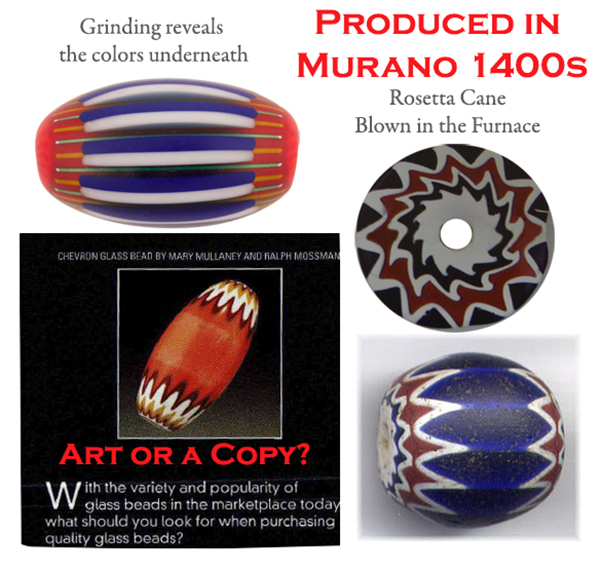 For example the Chevron Bead in the brochure that you see above – no artistic work there, just copycat of Venetian and from even earlier bead makers.The development is absolutely Murano in the late 1400s as documented in The History of Beads by Lois Sherr Dublin, the “bible” of beads, ISBN 0-8109-2617-2. 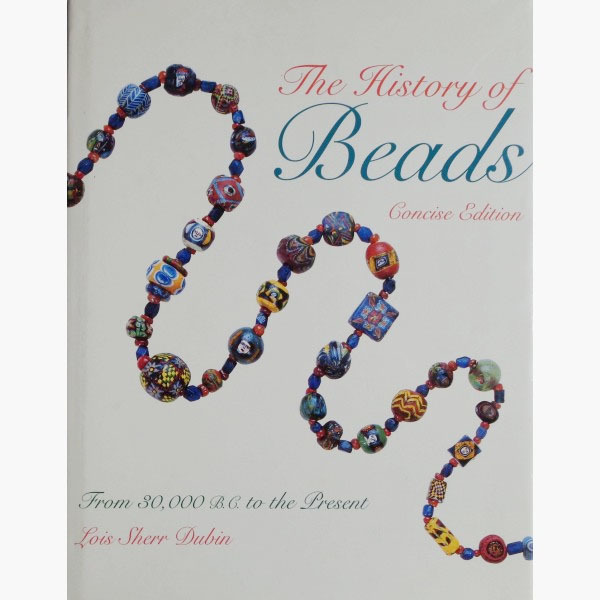 I recommend this book to anyone who is interested in the history of beads around the world. One who owned his own Murano Glass furnace – until his wife making beads became so successful he closed the furnace and now works for her. A maestro who worked at Venini (Murano Glass Furnace) – have you seen their pieces? I dare you to say he is not an artist! One who began as an apprentice in a furnace at 12 years old, and has raised 2 daughters making beads in his home. One who began as an apprentice at 13 in the Seguso Murano Glass Furnace under the famed Archimede Seguso, who was a truly demanding Maestro. One who is a 3rd generation Venetian bead maker – bead cards from his family are in museums around the world. One who learned from her mother, who worked in one of those “factories” and is considered the Queen of the Fiorato bead in Venice and Murano. And many more! And I count them all my friends and respect their work! They will work day and night, weekends to produce the beads we need. 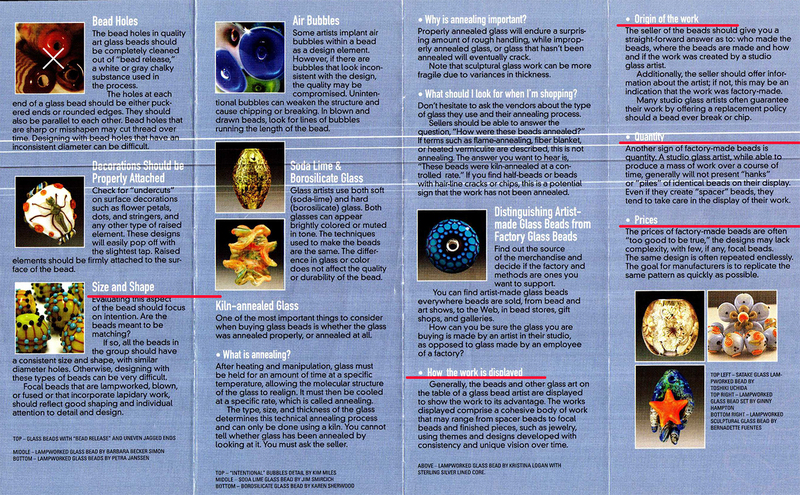 I find it very interesting that any glassblower, Chihuly included, will acknowledge immediately that Murano is the cradle of glass blowing and respects their Maestri. Yet ISGB somehow believes they invented bead making. Might I remind them that the Doge of Venice gave the right to make beads to the crafts people Venice in a decree in 1291 when the furnaces moved to Murano? And that the “union” of beadmakers in Venice and Murano dates back to 1308 when the State Inquisition organized the beadmakers into a Guild “Arte de’Margariteri” while the ISGB is a mere baby having been formed in 1993. Incidentally that is the same year we began importing VenetianBeadShop.com began importing beads from Venice and Murano. 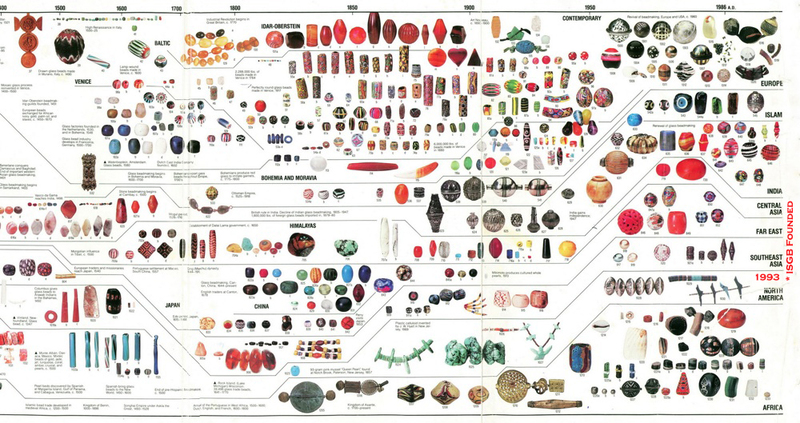 Time Line of Beads from 30,000 BC to Present – Note ISGB a newcomer in 1991! But I am seriously considering NOT renewing my membership! If that is ranting, you did a good job of making it informative! This is so interesting, reminds me of quilting. Crazy Quilters are not quilters because they don’t follow a pattern & several other reasons. But, they spend hours on a section of the quilt. Talent is talent & artistry O& the beads are beautiful. I would love to have a collection of any of them! I’d love to have a full size copy of the timeline as well, my eye-sight just can’t get the tiny print anymore! Thanks, if you search for Lois Dublin, The History of Beads, you can find the full size. Or in her book – the ISBN is in the article. It is a worthwhile book for reference. Thank you! I am going on the search for the book now. If I had connected all the dots, I should have seen that already!